The last thing you want when things are getting hot in the battlefield, is for things to start heating-up under your desk too. Digital Storm’s been back in the lab, looking for ways to prevent just that, and thinks it’s cracked it with the new Aventum system. It’s the first to be kitted out with the PC-maker’s Cryo-TEC liquid cooling mechanism, and boasts a thermal exhaust, five software-regulated “zones” and no less than 13 configurable fans. The range starts with an Intel i7 2700K core, 16GB RAM, 120GB SSD (1TB HDD) and a GeForce GTX680 for $3,859. If your pockets are even deeper, then you might fancy the 2x dual Xeon E5-2630 hexacore-totin’ system with 32GB DDR RAM, and three-way SLI (with the same GeForce GTX680) for a jaw dropping $7,856. With a price like that, however, it’s probably your credit card that’ll need cooling down. Digital Storm is taking orders as of today, and full details of the range in the PR after the break. 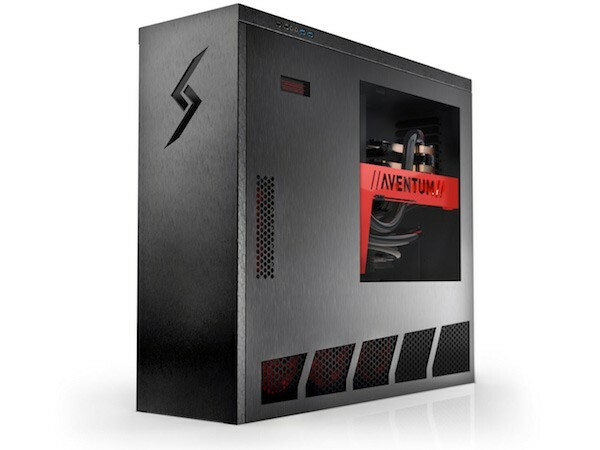 Digital Storm launches Aventum range with Cryo-TEC cooling system originally appeared on Engadget on Mon, 26 Mar 2012 09:00:00 EDT. Please see our terms for use of feeds.